The Moro Man- another one of the characters that populate the visionary world of Acchitto. His golden face is enriched with the royal crown of the maharajah, decorated with gold profiles that enhance the matelassé motif. 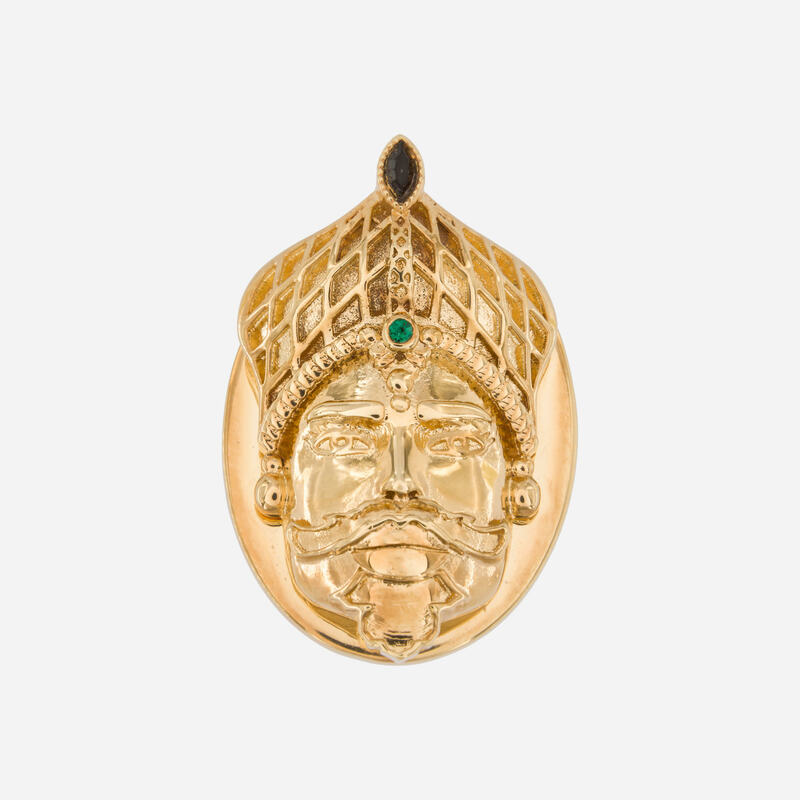 Made of yellow gold-plated bronze, the face is framed by golden motifs and crystal stones. 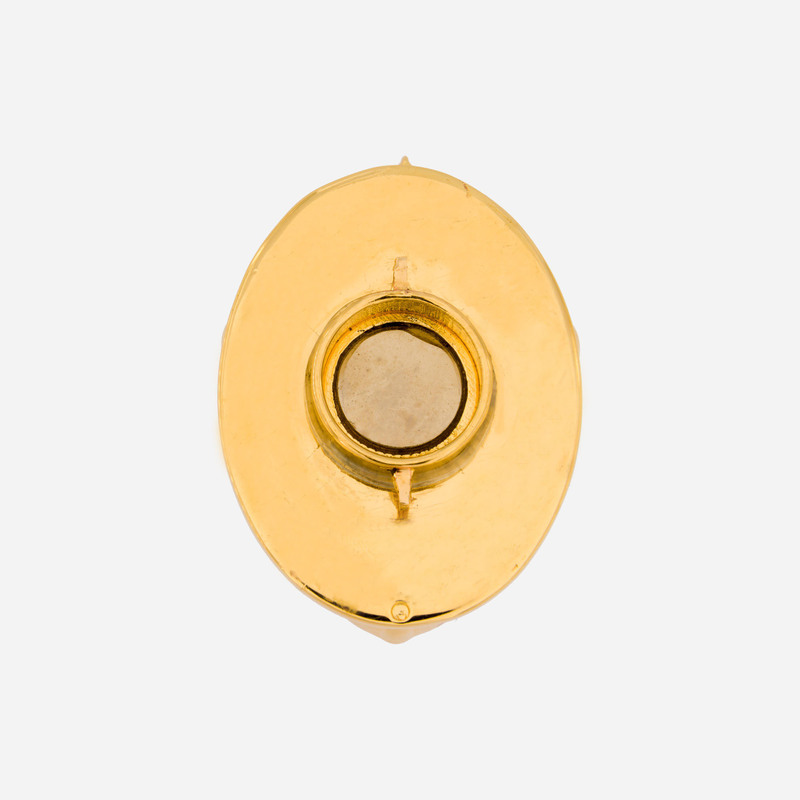 The plaque is equipped with Acchitto's own mechanism of interchangeability, that allows the personalisation of the jewel, making it one of a kind. 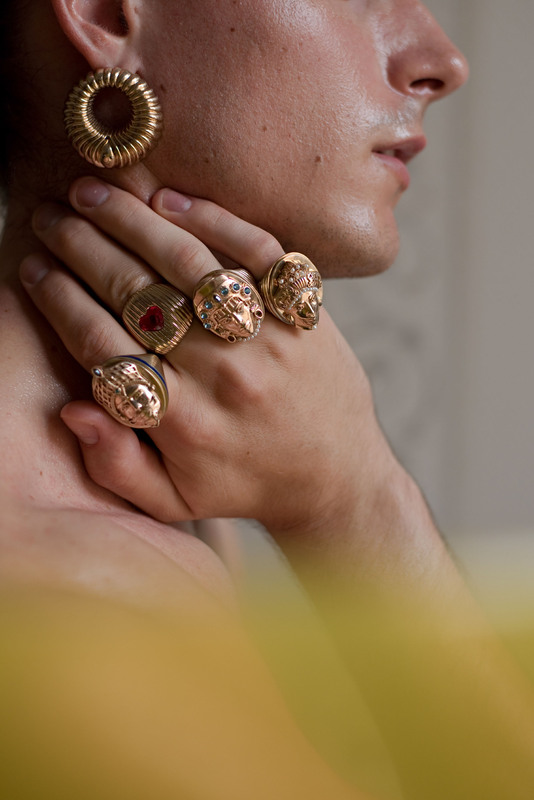 The plaque represent one of the 13 heads with a patented mechanism of interchangeability, that allows it to be applied on three different base rings equipped with the same mechanism.That allows the personalization of the jewel making it unique, collectible and trendy.